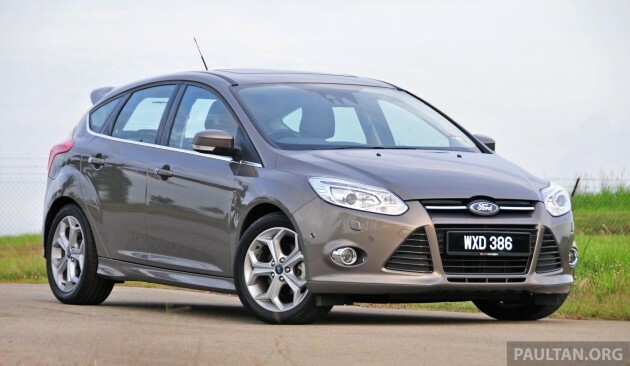 Over in Australia, Ford is calling back a number of its third-gen Focus over an issue with the car’s front drive halfshaft. The campaign involves 4,277 units of the pre-facelift C346 built between May 21, 2013 and January 24, 2014. In the affected cars, Ford said that it is possible that the front drive shafts fitted on these vehicles may not meet specification and could fail during initial acceleration from standstill. The automaker says that should failure occur, the car will be rendered immobile and could pose an accident hazard to both the driver and other road users. Ford Australia said that affected owners will be contacted to arrange replacement, and advised that until the safety recall is complete, owners should avoid aggressive acceleration from standstill. News reports indicate that the recall is part of a larger service programme exercise being carried out for 10,000 Focus models over the issue, with the remaining number having already been having had repair and replacement work done. The pre-facelift C346 Focus sold in both the Australian (from 2012-on) and local market is assembled in Thailand, so it would be logical for MY cars to be affected as well, and they are – it turns out the shaft replacement programme also involves Malaysian market vehicles. Ford’s ASEAN regional office in Thailand confirmed with paultan.org that 1,243 Focus vehicles in Malaysia are similarly affected, but added that an owner-notified customer satisfaction programme to replace the front drive shafts had been underway for some time, and was ongoing. The company said Malaysian Ford dealers have been contacting remaining affected customers to schedule appointments to carry out the front drive shaft replacement work, which of course is carried out at no expense to the owner.